Many are emerging from the haze of holiday bliss, but the new year is coming up on us quickly and that means Kindergarten Registration for Eagle County Schools. The registration process is completed online (as it has been for the past few years) and the system will be available from Jan. 3 through Feb. 17. Our district offers several school choice options for families wishing to enroll their students in a school other than their community option. This process is called Open Enrollment and it operates during the same time frame as Kindergarten Registration. The information families need for Kindergarten Registration and Open Enrollment can be found on the Eagle County Schools website at http://www.eagleschools.net/registration. This webpage includes an overview of both of these processes as well as detailed guidebooks (in English and Spanish) to walk families through the steps. All our registration and enrollment is online so parents can complete it at a time and location of their convenience. However, office staff at every school have also been trained to help parents on completing this process if they need additional support. Parents can come to any of our community schools and get assistance in completing the process. For kindergarten families, all our elementary schools will host open houses in January and early February where you can visit and learn more about the programming at each school. Principals and key school staff will be on hand to answer questions about the school and parents can get a feel for the educational environment. The dates for these open houses are also available on the registration webpage so check those out now and mark your calendars! Registering for kindergarten or for Open Enrollment during this time frame gives your student the best probability of attending their school of choice within the district. We do accept and look at late requests after the registration window closes and consider them on a case-by-case basis, but requesting during the Jan. 3-Feb. 17 time period provides families the greatest number of options. Open Enrollment is the process families should use if they wish to have their child attend a school other than their community school. Eagle County Schools supports school choice options for our families and there are a variety of reasons a family might choose a different school other than their closest community school. Sometimes, one school’s academic programming is attractive or a better fit. In other cases, the choice has to do with the parent’s work commuting patterns. Sometimes, it has to do with siblings or friends. In any case, we leave those choices up to families. Limitations on Open Enrollment are based on availability at the school (both in terms of physical space and staffing limitations). Families of students who open enroll are responsible for their own transportation. We do have some schools that will turn students away due to available space constraints, but we do try and accommodate every family’s requests. Again, making your preferences known during the Open Enrollment window of Jan. 3 through Feb. 17 is the best way of getting your first choice. A few of our schools have special enrollment steps that need to be followed. The Eagle County Charter Academy has a lottery system to determine who gets into the school, with a preference for students who come from low-income families and are eligible for free or reduced lunch. Red Canyon High School is an alternative high school program, focusing on students who need a different educational environment than the traditional high school. 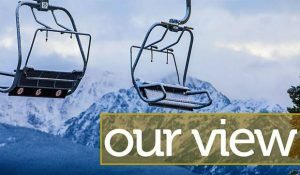 And, the Vail Ski & Snowboard Academy operates as a magnet school for students wishing to compete at a high level in snow sports. Each of these schools has special enrollment procedures and you should contact the school directly to learn more about enrolling in these schools. In a change from previous years, Edwards Elementary School no longer has a lottery system for enrollment into its kindergarten dual language program. This step was dropped because of the expansion of dual language education options in all of our elementary schools. Edwards Elementary accepts kindergarten registrations from families that live in its school boundary area. Our goal is to have an abundance of high quality options for families to consider in every community. If you have a kindergarten student who will be attending school next year or if you wish to enroll in a different school option through Open Enrollment, take note of the enrollment window of Jan. 3 through Feb. 17 and learn more at http://www.eagleschools.net/registration or call our registration helpline at 970-328-4747. Final determinations will be made in February and March and families will be notified of their placement no later than March 31. Welcome aboard! 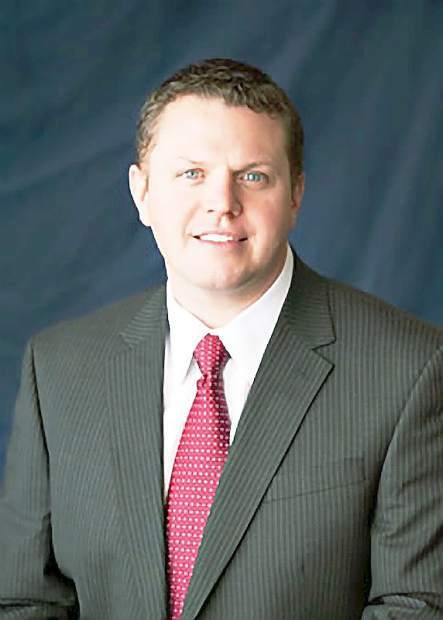 Jason E. Glass is the superintendent of Eagle County Schools. He can be reached at jason.glass@eagleschools.net.